Protect your knife, pulaski, or ax with a custom- formed sheath that is functional and beautiful enough to become a heirloom. As with our holsters, we require you to leave the blade with us while the sheath is being made. Nearly any configuration can be designed to meet your needs. 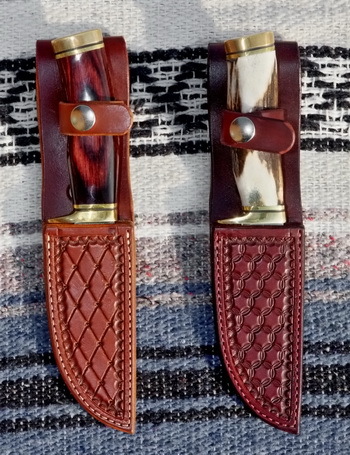 Knife pouches start at $50.